2. 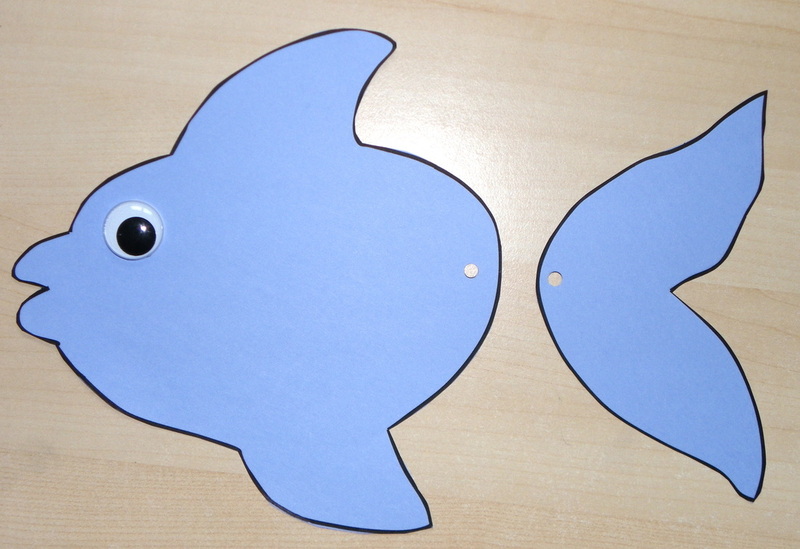 Two sheets of A4 paper (suitable for printer) in colours of your choice. 1. 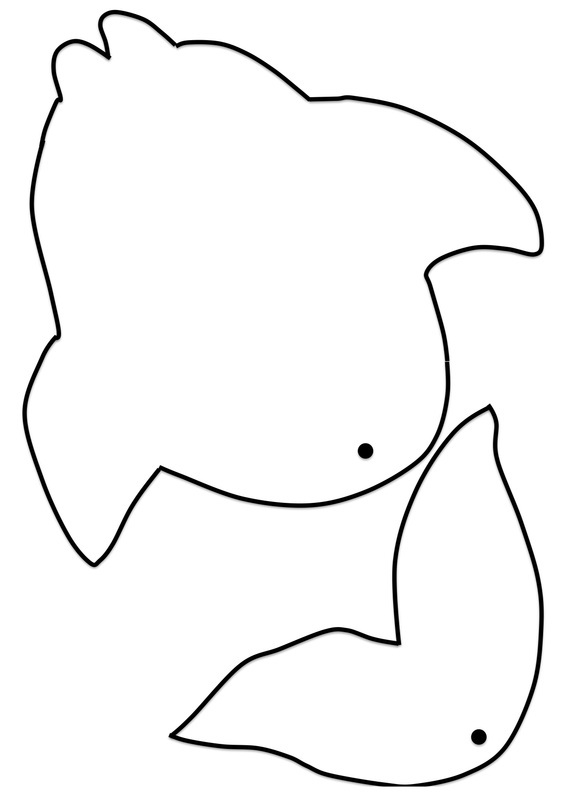 Print out the template (below) onto A4 paper in the coluor of your choice. 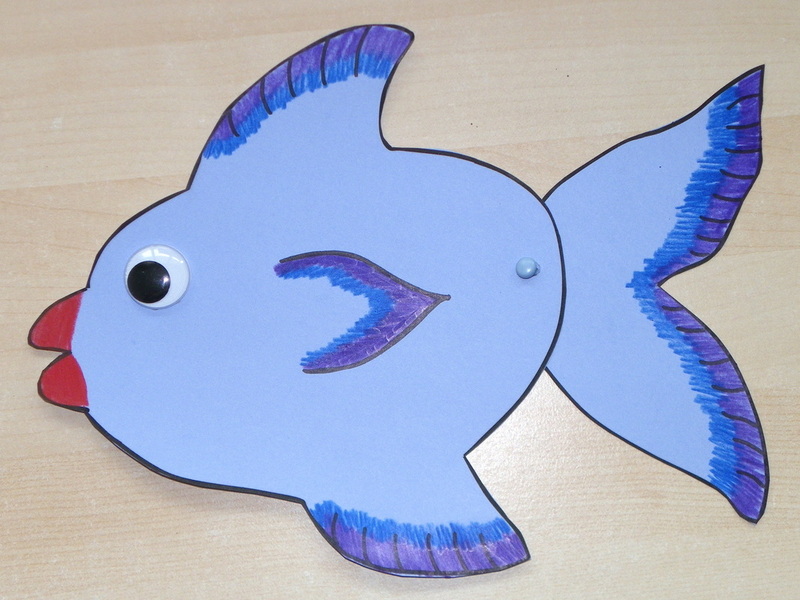 You can use white paper and colour the fish yourself, or coloured paper and decorate the fish with stickers etc. Right-click on the jpg image (below right) and save to your computer. Print from there. open the pdf doc (below left) and select "print"
Both print to A4 size. 2. 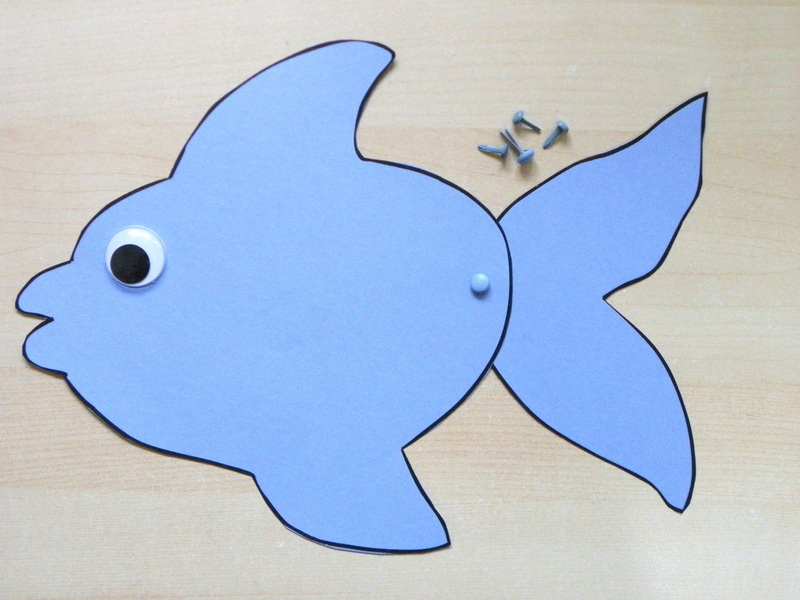 If you wish to colour your own fish, it can be easier to colour in the body and tail before they are cut out. 3. 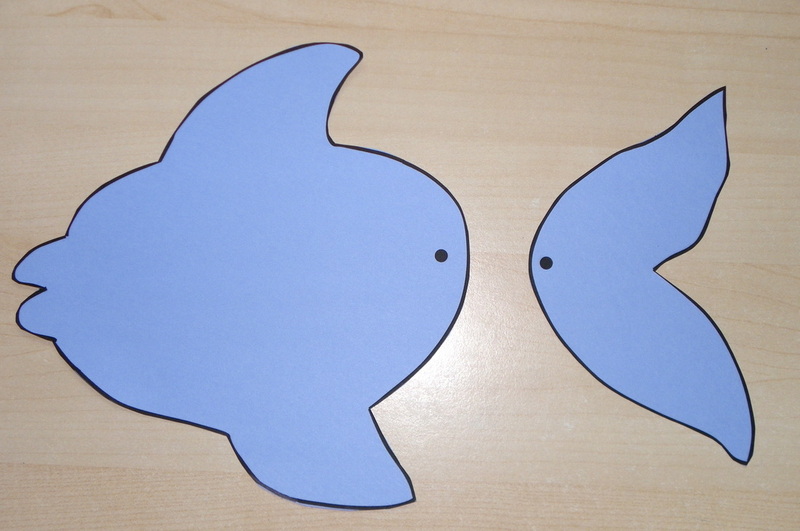 Cut out the two templates (body and tail). 4. 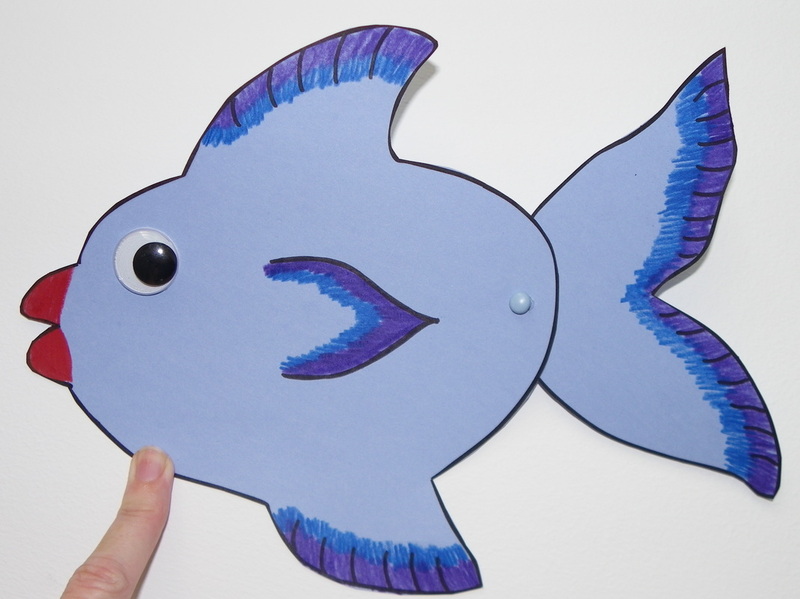 Use the hole punch to punch out the two holes where marked on the template. 5. 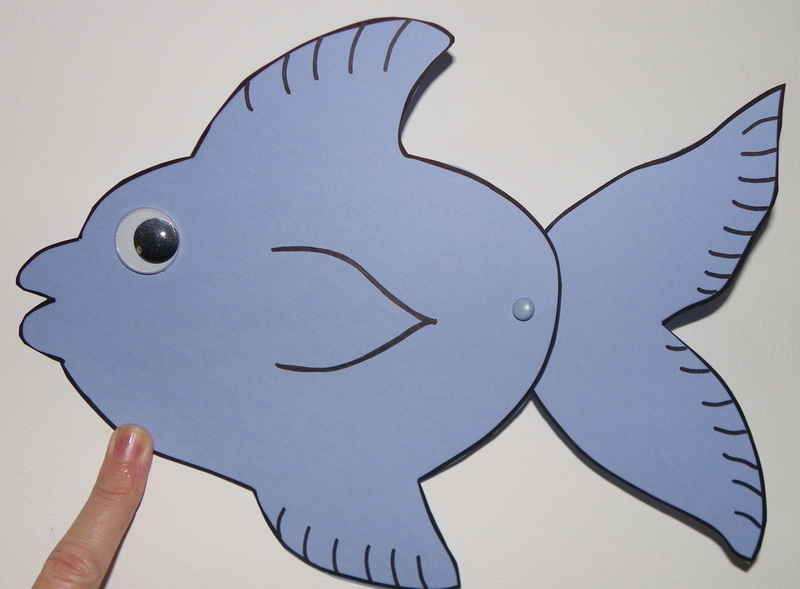 Adhere the google eye onto the fish.